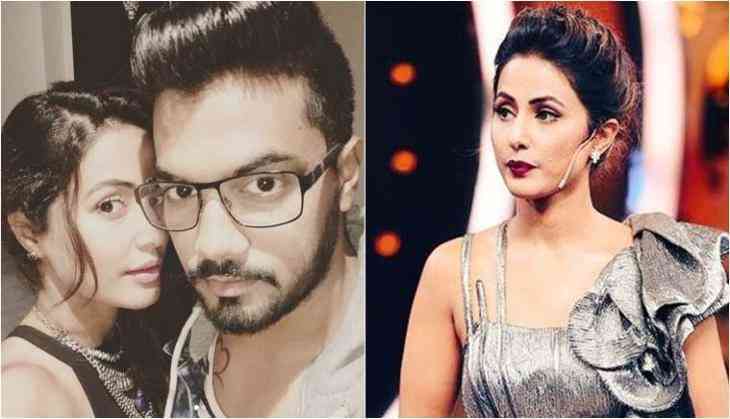 Actress Hina Khan, the first runner-up of "Big Boss Season 11" is glad her relationship status with Rocky Jaiswal is no more a secret, but says wedding bells are far away. While in the "Bigg Boss" house, Hina's relationship with Jaiswal became a talked about affair. Now that she is out of the 'house', asked if fans will hear news of her wedding anytime soon, Hina told the media: "Not at all. We have a long way to go. We just want to enjoy ourselves, but I am glad that it's finally out in public." Hina, who lost the finale to actress Shilpa Shinde, said: "Nothing... I don't regret anything. There are many things that we said but then we also took care of it while in the house with the same people. Even if we did say anything to each other, we said sorry to each other the next morning. I don't think any contestant in the house has any regrets about anything. She said all contestants of the show will in fact be going for a trip together to relax and enjoy after the hectic weeks of "Bigg Boss". "I like to tell everyone that we are going on a trip, all of us, but we won't be disclosing the destination. I had decided some time ago that we have fought a lot in the house, we have said things to each other, but when we leave the house we will forget about all of that and go on a trip." Defending it, the "Yeh Rishta Kya Kehlata Hai" actress said: "What you see is only 45 minutes of what happens all day. At times all you hear is part of a conversation. At times things are said by someone else that you don't know about or how the conversation started. "There are many things that were said in a different sense and interpreted in a different sense."